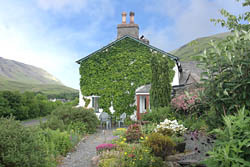 Lake District self-catering holidays rarely come in a more picturesque setting. 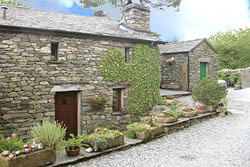 Situated in the very heart of the Lake District National Park; Broadrayne is a traditional Lakeland Farm with a small cluster of former 17th to 19th century farm buildings nestling round a picturesque farmyard in the beautiful Vale of Grasmere. Enjoying a sunny elevated position surrounded by some of Britain’s finest scenery there is instant access to several inspiring mountain and valley walks. 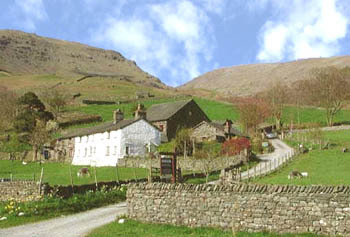 The famous Coast to Coast route passes through the farm’s land, the picturesque village of Grasmere is a short stroll away and there is a traditional Lakeland Inn just 400 yards down the road. Within the Farm are three separate 4 star self-catering holiday cottages, all sympathetically converted from the original farm buildings. Retaining many of the original features they offer a lovely and private ‘home from home’. 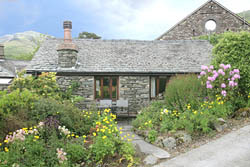 The Lodge sleeps 2, the Cottage sleeps 3, the Woolloft sleeps 4. All have the benefit of allocated parking, separate entrances, private sitting areas and open fires.